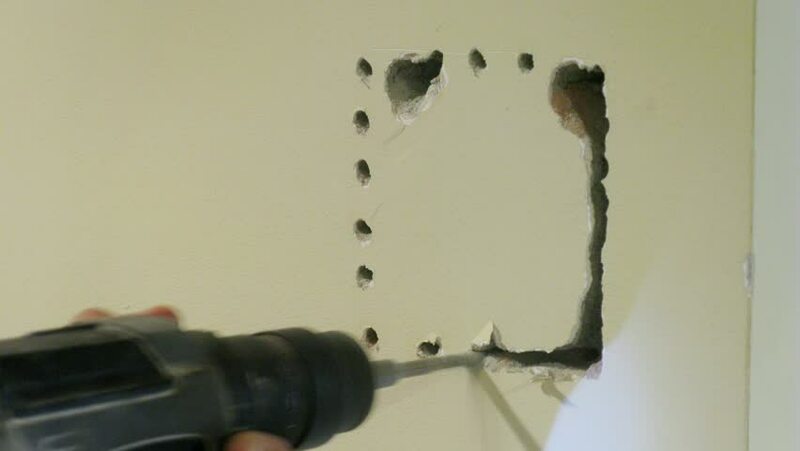 Worker Grooves hole in the wall to install Intercom. Time lapse. hd00:20Helicopter as part of a heli ski operation in the Himalayas. Red helicopter in Kashmir, India. Big mountains, lot's of snow and trees. hd00:15Manama, Bahrain - circa 2013 - ECU tracking shot on the stem of a Dilmun era pot in a display case, at the Bahrain National Museum. A Bahraini woman walks through in the background. Shot Arri Alexa.